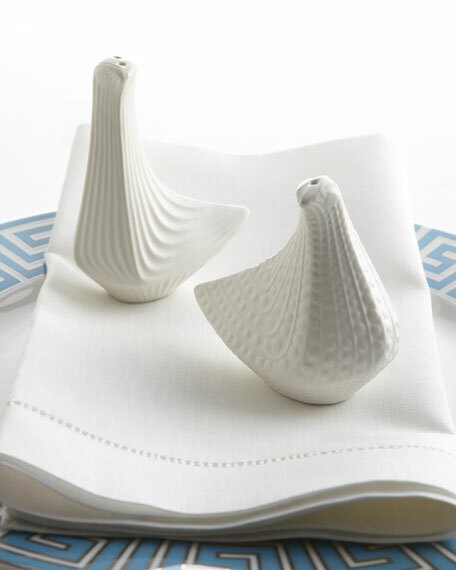 Bird salt and pepper shakers are made of high-fired stoneware with matte-white glaze. Handcrafted set includes 3.25"W x 3"T and 3"W x 4"T birds. From Jonathan Adler. Imported.